3-yarns moss stitch wool cardigan for babies with an amazing texture and a hood lined with L'Asticot's original jersey patterns. 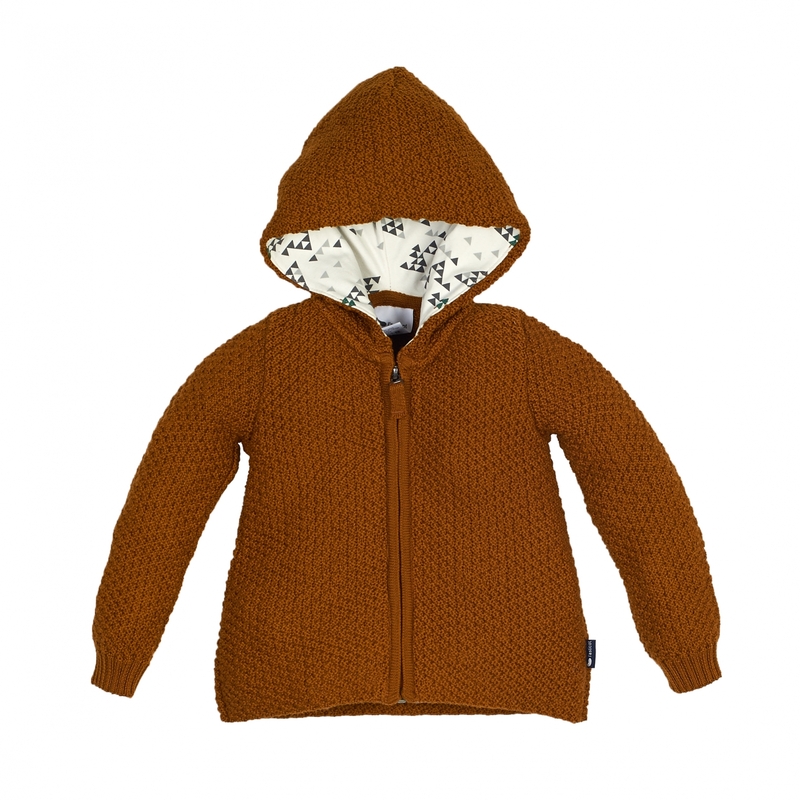 Your child can wear it as a mid-season jacket or under the coat when the cold days arrive. The sweet touch : the L'Asticot wool doesn't itch and protects your child efficiently from the cold, while allowing his delicate skin to breathe.